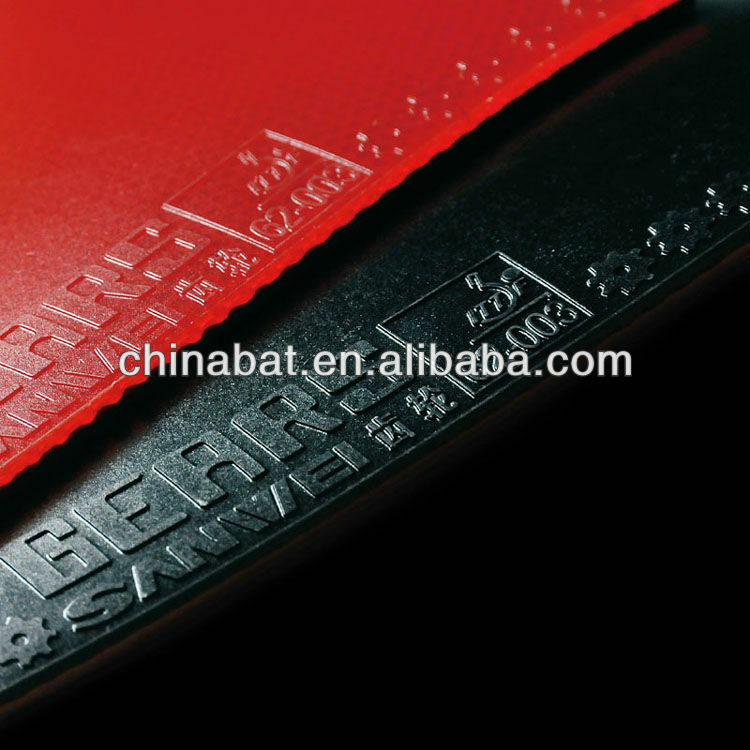 Custom and Cheap ITTF Approved SANWEI pimple-in rubber: GEARS table tennis rubber / cover Supplier and Manufacturer.--Beijing Sanwei Sporting Goods Co., Ltd. It is the high elastic unsmooth rubber that adopts MP molecular combination technology, the bottom surface is very thin, the tower colum structure with appropriate grains can make speed and control blend better. Matched with soft and elastic Japanese sponge producing deep friction to the ball, it is the classical combination of speed and control as well as rapid strike back and stable placement. It is easy to be on the table for passive defense, with powerful defense and transition offense and strong lethality.